I had checked the weather yesterday, was assured it would be a sun-filled day, and I wasn’t disappointed; with the golden rays warming my soil, this would be an opportunity to get a few things into the ground. 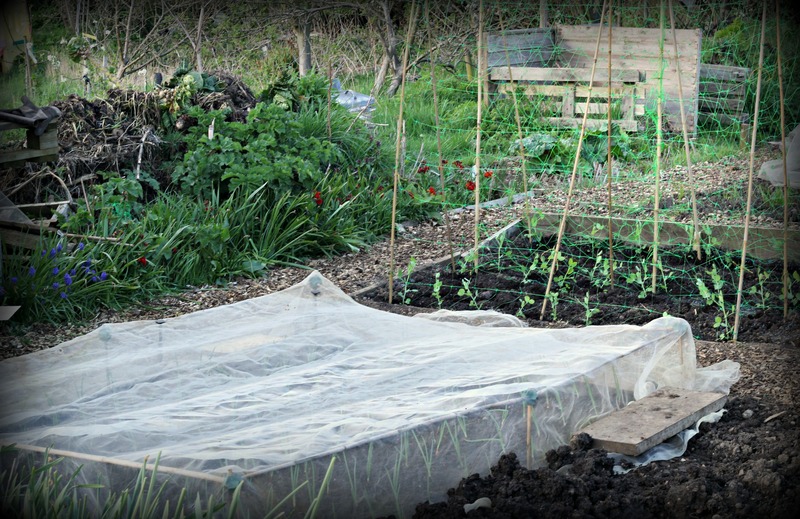 When I arrive at the allotment, I always make for the polytunnel first. It’s such a thrill when you unzip it to see what’s new, and I wasn’t disappointed today. 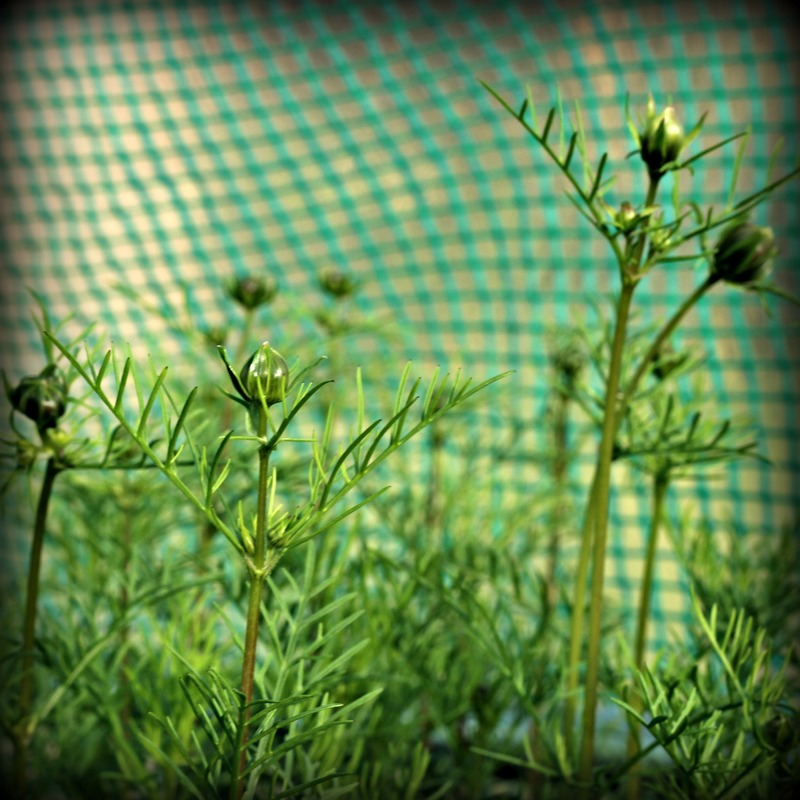 As well as the usual vegetable suspects, this year’ I’m growing a lot more flowers from seed for the garden. I’ve got Echinacea, Rudbeckia, Cosmos, Delphiniums, various varieties of sunflowers and Bishop’s Weed. It’s fair to say my polytunnel is packed, I don’t think I could grow anything else in there if I wanted too. First off, my peas. This year I have gone with a variety called Ambassador from Suttons Seeds. Not only is it vigorous, but it has a high resistance against disease. 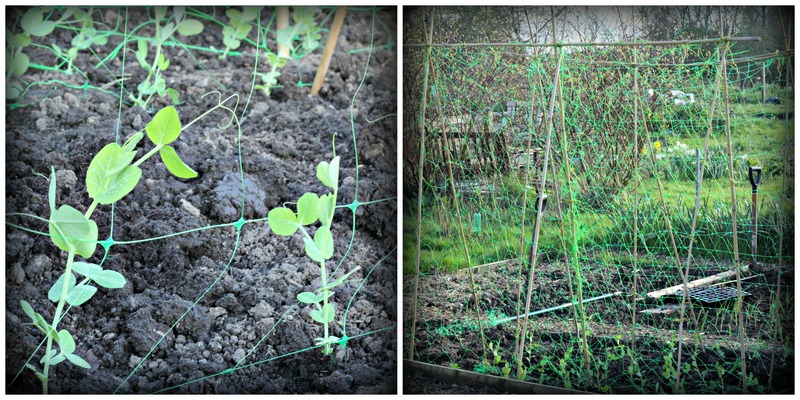 Although last year’s peas were a great success, they did succumb to Powdery Mildew in the end. I started my peas off in the polytunnel in deep modules earlier this year, and now with nearly a several inches of growth and a well established root system, they were more than ready to go into their final space. However, my MacGyver skills were called upon to fashion something for these plants to clamber up. Last year, I used hazel twigs, but these were now dry and brittle. Furthermore, I wasn’t entirely happy with the twig supports as they broke easily and sent the peas shooting in all directions, so come harvest time, it was a real hunt to try and unpick the sticks from the swelling pods! 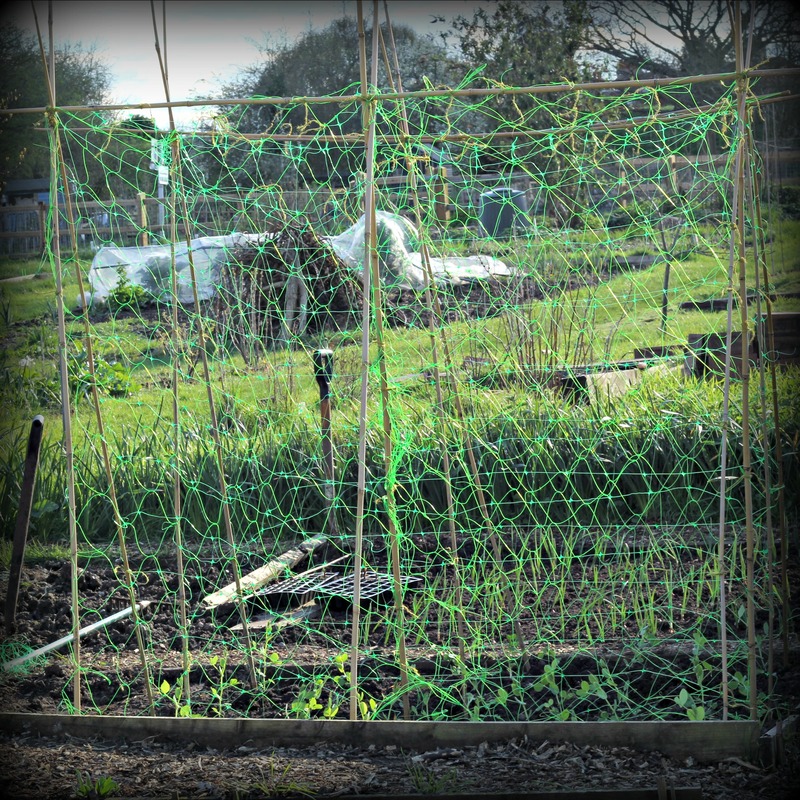 This year, I decided to go for something a little more straightforward; bamboo sticks and pea netting. It might not make the cover of Gardens Illustrated, but it does the job, it’s sturdy and for me it’s all about the final harvest results. With the peas in, I knew I couldn’t put off the inevitable, the day had come: today I would send my onions out into the cold world. I’m not going to continue bring up the onion disaster of 2015, but I am a little nervous. As far as vegetables go, I’d always regarded the onion as a loyal, no fuss, tough as old boots kind of fella. Whether wind, rain or shine, my onions would thrive. So when I turned up to the allotment last year to water my crop, you can imagine my distress upon seeing a bed of slaughtered onions, ripped apart by that lava-laying sadist, Onion Fly. This year would be different. I grew them in the polytunnel, trained them up, made them strong. It was like something from a Rocky montage, the polytunnel had become Mickey’s Gym; I had given a new meaning to sweating onions. This year my alliums would come out fighting. They were stronger, again with a root system and plant growth I had given them a good start. So I took my time, cultivated the bed, firmed it down planted my onions on alternated rows, Red Onion (Red Fen) then White Onion (Fen Early). If the Onion Fly was hoping for his horror sequel, I had one more trick up my sleeve, Enviromesh. I use this as a barrier against the Carrot Fly and it works wonders. This year, I’m not taking any chances! It’s amazing how quickly time goes, it was already 6pm and I hadn’t got to planting out my brassicas.. Looks like I’ll just have to come back tomorrow and do it then… what a shame, eh? I’m relieved your peas are in the ground- Monty was only just sowing his on friday!!! Poor little onion soldiers! I hope you foil that dratted onion fly. Sounds like you’re off to a good start. You got yourself busy with all these plants, that’s really cool!